The bucket list can be applied individually or as a family. But when you start really thinking about the kids, a true bucket list may seem a bit macabre. Also, what happens when you finish that list? 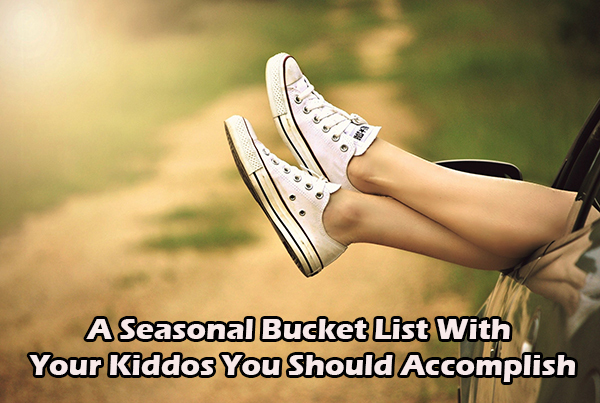 So instead, you may want to consider what the cool parents are doing these days (or so we think): A seasonal bucket list. What is a seasonal bucket list? A seasonal bucket list is a list of things you want to see, do or accomplish within the upcoming season. If you stick with this concept, you’ll make a new bucket list for every season, every year. Your lists will vary from year-to-year, but you can have some carryover items too. Your seasonal bucket list may include specific things, like a trip to Disneyland. Or it may include more general activities, like apple picking or doing a hayride. There’s really no right or wrong way to do this, so don’t let it stress you out. This is meant to be fun, so think of fun or silly things you can do with your family in every season. You can even get the kids involved in planning your seasonal bucket list items. After a few years, you’ll probably need help coming up with fresh ideas. How many activities should you add? In your first seasonal bucket list, it can be easy to get carried away. But here’s the thing: you don’t want to put more than you can manage onto your list. Because it’s a bucket list, this may cause unnecessary stress as you’re nearing the end of the season and realize you have a lot to do. With that said, there is no magic number. Some families have more free time and can handle more activities. Some activities are easy to check off while others are major excursions. You’ll need to evaluate how much you can manage as you’re writing each list. Still, it’s a good idea to shoot for at least three activities. They can all be small things like day trips, but you’ll still get satisfaction when you check them off. And you’ll also get great memories. When you sit down to think about what you’ll put on your seasonal bucket list, start with all the things you’ve always wanted to do. These may even be things you collectively want to do as a family. Maybe you see a commercial for a cruise and everyone oohs and ahhs. Or you pass an orchard on a summer trip and always say you’ll go back in fall. Everyone has something, so go ahead and put that thing down on paper. If you have multiple things, that’s even better. Your list is already beefing up. 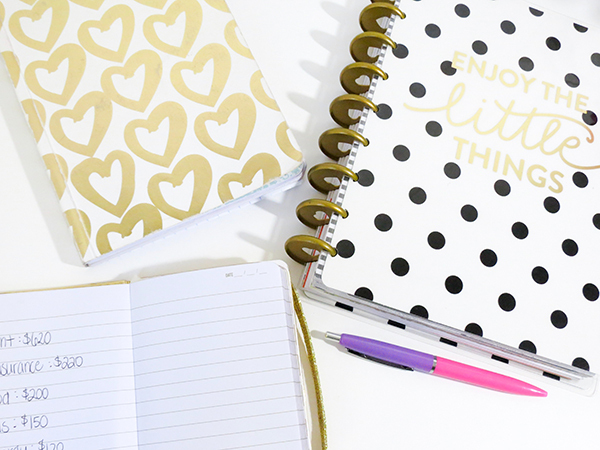 And if you’re completely stuck for ideas after getting an activity or two down on your list, this list should get your creative juices flowing. You’ve surely done at least one of the things listed in the ideas above, but you can think of ways to take them to the next level. For example, if you go to a local pumpkin patch every year, maybe it’s time to try one in the next town over. Or maybe you take a vacation and try to check items off your bucket list. And you can have a lot of fun with some of them too. If you live in Nevada, you’ll have to hop in the family SUV for a road trip before you can visit an apple orchard or have a snowball fight. And that can be part of the fun. But if it’s not in your budget, don’t worry. You can find seasonal shows or sporting events in your area to add to your bucket list instead. Make it your own. Regardless of what you decide to do, you’ll want to memorialize these moments. Consider putting together a scrapbook of each season. They’ll be a ton of fun to review in a few years!